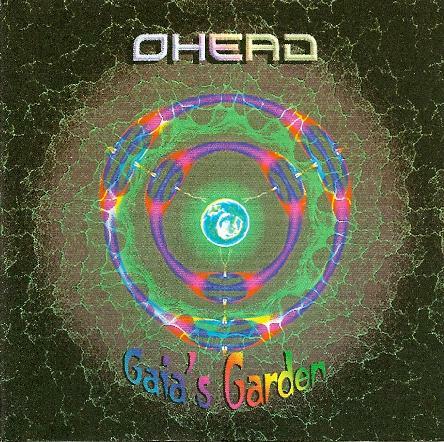 Ohead is the one-man space band of David Hendry. Hendry has extensive experience in the electronic music scene in genres such as trance, ambient and drum n' bass. And while his Ohead project draws on some of those influences, Hendry infuses it with so much more, adding guitars and bass to the electronics for a fusion of sound reminiscent of Ozric Tentacles in many ways, but different as well. Hendry has a polished sheen to his production, the non-electronic instruments having gently rounded edges, melding into the mix with the electronics for a smoother and less raunchy sound than you often hear with the Ozrics. Rhythmically, the music on Gaia's Garden follows a little more in line with the electronica scene possibly from the fact that Hendry utilizes programmed drums rather than a live drummer. Even so, though, his approach is a varied one. Hendry shakes things up, exploring different styles along the way, from the nature ambience of the four-part title track to the acoustically folk flavoured Out of the Woods; from the one/two progressive rock punch of King Alfred's Tower and Red Skies to the spacey, jazzy Floydian-like excursion of Soapbubble (which features guest saxophonist Rachel Hutchinson). It's mostly instrumental music, except for the occasionally freaky voice sample, and of course the mysterious and edgy track Timeless Sun, which features spacey, processed singing from Hendry himself, multi-talented guy that he is. Ohead hearkens back to the electronica and festival sounds of the 90's while pushing forward and exploring new territory for the future. Lush, rhythmic and spaced out, this is music for the head. The O-head, that is.